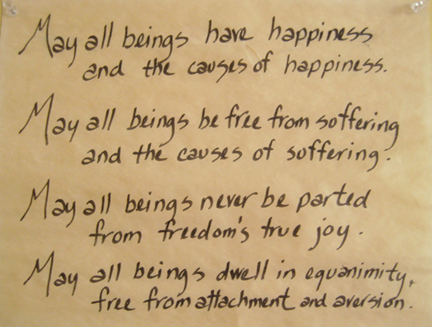 A few months ago at a workshop with Cindi Lee of Om yoga I was introduced to this lovely Buddhist prayer. We opened and closed our meditations with it, and I just came across it again. It is really beautiful. Thought I’d share. November 15, 2010 in buddhism, freedom. love, inner peace, joy, life, meditation, poetry, quotes. Ever practice Tonglen meditation? I often do. Especially lately. It’s powerful stuff..